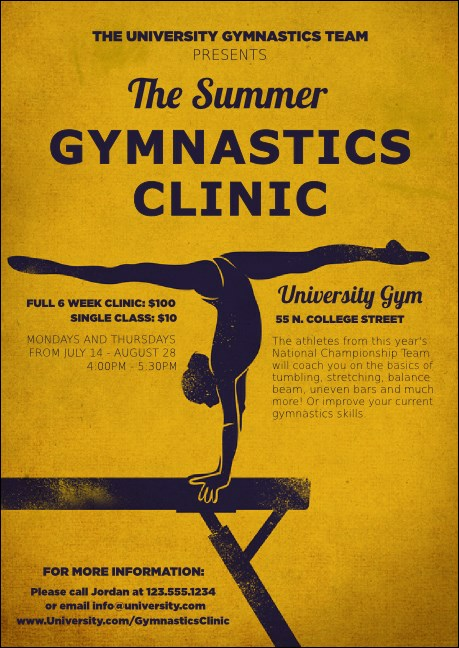 Vault your way to a successful athletic event with the Gymnastics Club Flyer. Printed on high quality card stock and featuring vibrant purple and yellow tones, this image depicts an elite gymnast hitting her position in her balance beam routine. Hit your mark with the right club flyer for your gymnastics camp! Create a dynamic event with the help of TicketPrinting.com.